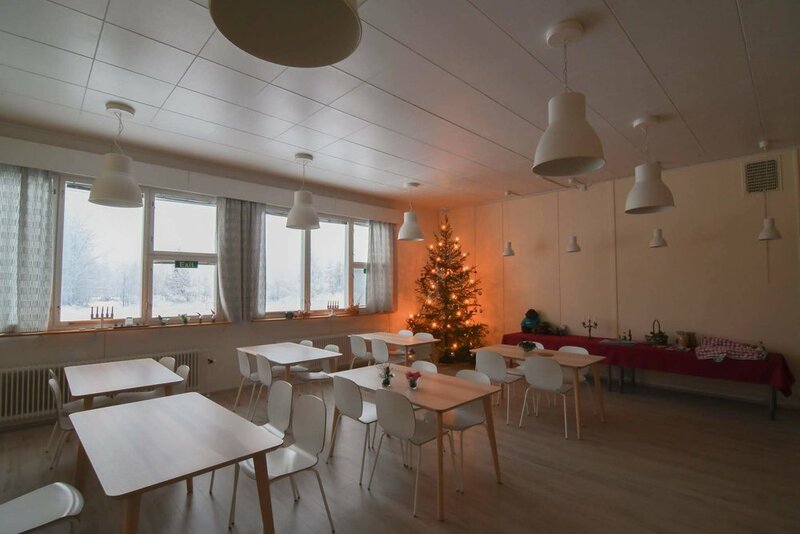 The site of the village school for more than 100 years, the lodge now welcomes travellers to Northern Finland to stop in and share a traditional Finnish meal with locals, have a relaxing sauna and enjoy a peaceful night’s sleep. Adventure Apes Lodge is located in the small village of Vasaraperä surrounded by lakes, forests and fields in the beautiful countryside and a 30-minute drive to the town of Kuusamo and Ruka Ski Center. We offer cosy accommodations in traditional Finnish style for individuals and groups. The lodge also serves as the home base for Adventure Apes tours. We want guests to feel like part of the local community. With shared dining, recreation spaces and activities open to both travellers and locals, staying at the lodge means you are part of a vibrant community. Our kitchen serves traditional Finnish foods. Whenever possible, we source or ingredients from local farmers such as jam, potatoes, milk, eggs, meats and fish. Set in the countryside at the border of Lapland, the lodge is perfectly situated as a home base for adventures in Northern Finland. All guests are welcome, wether you decide to take a tour with Adventure Apes or any other local operator. Our lodge was renovated with accessibility in mind, including accessible common areas and one fully accessible double room. We welcome travellers with physical disabilities or other special requirements. Just let us know what you might need. Adventure Apes is recognized by Visit Finland and Green Start as a sustainable tour operator. See our sustainability pledge. The site of the Lodge has been a village school for over 100 years. The school buildings were built in 1960’s and were full renovated in 2018. Once a public primary school for the village, the guesthouse has been newly renovated to provide clean and cosy, standard-level accommodations for 24 people. 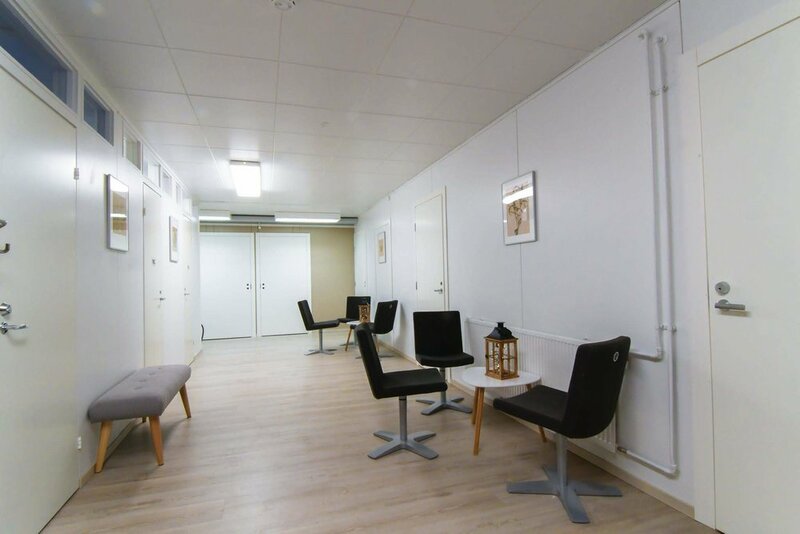 Each room has a private bath, either ensuite or in the corridor. 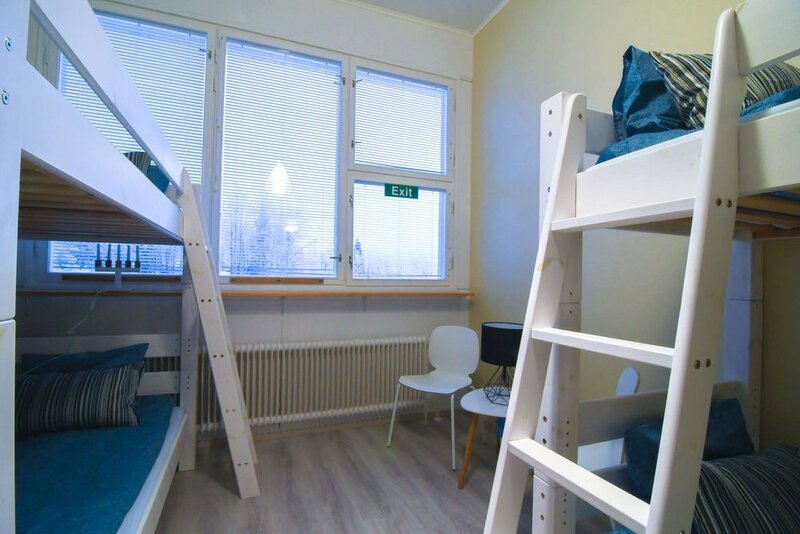 The two double rooms offer a bit more privacy for couples while the shared rooms are perfect for those traveling alone in Finland, groups of friends, or those just looking to meet new people. We also offer airport transfers. Please contact us in advance of your journey for more details.